I am trying to make a the number format in my pgfplots the same, as in the rest of my document. 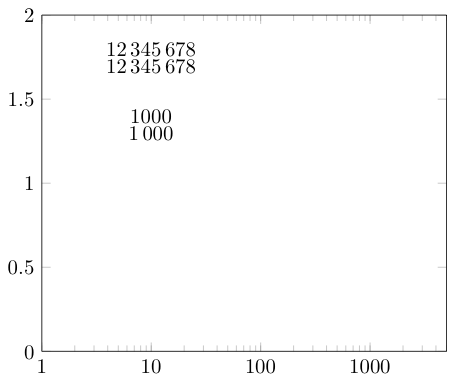 I am normally using the \num from the siunitx package to typeset numbers, and would like to use it in my plots as well. Is there a solution to this problem, or some way to set the global number format used by pgfplots? Not the answer you're looking for? Browse other questions tagged pgfplots pgfmath or ask your own question.